In this retelling of The Nutcracker we get to see so much more of the story that Heather Dixon Wallwork has spun around the original. Clara Stahlbaum is a pianist that hopes to catch the attention of her famous male counterpart Johann Kahler through her performance at a Christmas concert. The night before however, on Christmas Eve, she is transported into the land of Imperia where she encounters magic, evil rats, and a prince-turned-toy Nutcracker. It was delightful fun to read and perfect for the holiday season. Dixon Wallwork is able to completely capture the story not just in words but the sensation of the music she describes. I have never before read a work where music is incorporated so seamlessly into the narrative. What's truly great about it is that it carries the essence of the music in the story inside the words of the plot and the descriptions of the music. You don't need to know music to feel the sensation she describes. 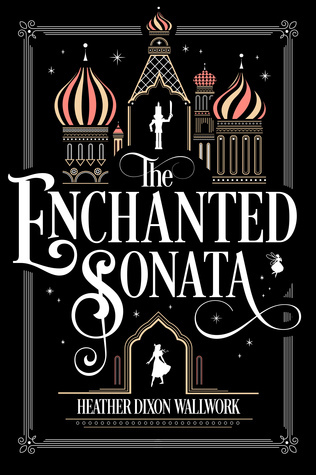 The Enchanted Sonata is itself an enchanting piece of art. Full review to come tomorrow!